The first ever Mango Rum Liqueur in the world is made from real Philippine mangoes. Often called as The National Liqueur of the Philippines. 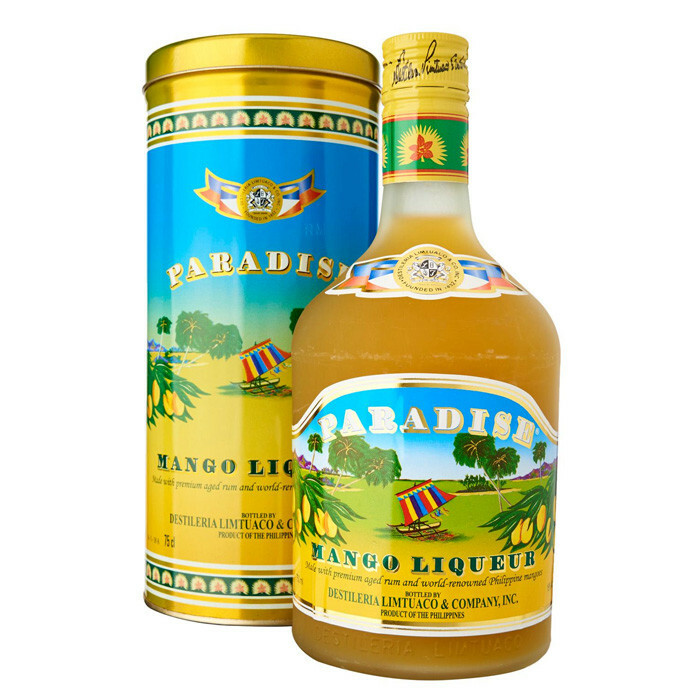 Paradise Mango Rum is a natural fruit-based liqueur made from real tropical mangoes and premium aged rum. Paradise captures the subtle taste of ripe Philippine mangoes with its appealing aroma; appetizing flavor and good mouth feel that will surely delight any drinkers. Destileria Limtuaco & Co. Inc. is the oldest distillery in the Philippines and it makes the finest liquors and liqueurs in the local philippine market. Established in 1852 it has 158 years of distilling experience.